We can email your initial paperwork, or you can fill it out in our office upon your arrival. What health challenges are you facing? Your first visit to Elk Valley Family Chiropractic is designed and set up to help us uncover your health challenges and concerns. We do a pre-consultation to clarify any issues and expand on any concerns. Once the pre-consultation is complete, Dr. Mike Rumpel will begin the full physical examination. 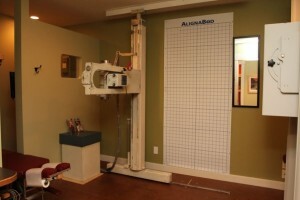 The physical examination includes a postural analysis, subluxation pattern analysis, and any other scans or x-rays the doctor deems appropriate. Once the Initial examination is complete, we will schedule you for our Doctor’s Report of Findings, at which time, we go over your results and begin your healing strategy. In cases where clients are in a lot of pain, we can make an exception and begin care at the first visit. We ask that you plan to be in our office for about one hour for this initial appointment. Call Elk Valley Family Chiropractic today to book your Initial Exam and Consultation at (250) 423-3003.